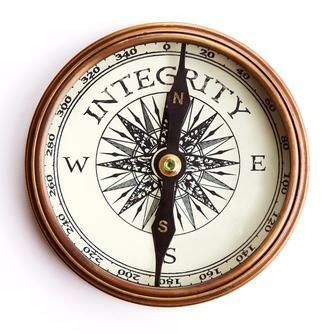 All About Living With Life: What is Personal Integrity? Jaycee Chan, the son of Jackie Chan, was caught and retained recently by Beijing police on suspicion of accommodating suspected drug users, official Xinhua news agency reported. Police seized more than 100g of cannabis from Chan’s house, in a swoop which also saw a Taiwanese actor known as Kai Ko detained on drug charges. Jackie Chan has been a government “anti-drug ambassador” since 2009. Is he going to embrace integrity in his son’s case? 1. Be trustworthy and do what you have promised to do. 3. Return to the shop to pay for something you have forgotten to pay. 4. Be honest in all your relationships with others. 6. Pay your bills fully and promptly to maintain your excellent credit rating. 8. Admit a wrong doing and apologize for it. 9. Express recognition for the contributions of others and not take credit for their achievement. 17. Be considerate of other road users, avoid speeding and give clear signals early. 20. Treat others like how you want to be treated. What is your take about personal integrity?